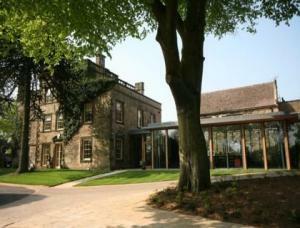 Choose from 15 hotels and guest houses in South Yorkshire. Shown below a just a selection of the hotels available. To search within an area please use the menu on the right. The Stables is set in the picturesque village of High Melton 5 miles from the Doncaster town centre and just a few miles from junction 37 of the a1. Situated in 126 acres of beautifully landscaped grounds with golf course on site, and possibly the best fine dining restaurant in South Yorkshire. Accommodation is availble in the historic Old Hall at High Melton which offers 350 free parking spaces on site. This 3-star hotel is next to Doncaster Racecourse, just outside Doncaster city centre, close to the A1 and M18. There is a fine-dining restaurant, a bar with racing memorabilia, and free parking. A mix of traditional and modern styles, the Grand St Leger Hotel has luxurious en suite rooms, individually decorated and furnished with the expected amenities. With an excellent reputation, Carrington's restaurant provides high levels of personal service and attention to detail. Large fireplaces, the finest silverware and cosy lighting set up a fine-dining experience. The Paddock Bar has images of famous jockeys and horses of the St Leger era. The bar hosts a wide selection of beers, lagers and spirits. Lakeside, home of Doncaster Dome, is within driving distance of the Grand St Leger. Many museums and galleries are in the Borough of Doncaster, while the Keepmoat Stadium (Doncaster Rovers FC) is also within reach. This privately owned country inn rests on the edge of beautiful woodland at the edge of the Peak District, only a 10 minute journey from Sheffield city centre. Here, boutique style accommodation has recently been awarded 4-stars, hosting a Silver Award from Visit Britain Quality Assurance Scheme. All rooms are uniquely and individually styled, all en suite with king size beds, plasma TVs and stunning views across the valley. 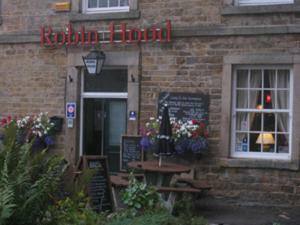 The Robin Hood is renowned for its seasonally changing menu that uses locally sourced produce. Enjoy real ales from micro breweries across the country. This friendly, traditional hotel set within landscaped grounds is 3 miles (4.8 km) from the centre of Sheffield, and you will receive a warm welcome from the team. 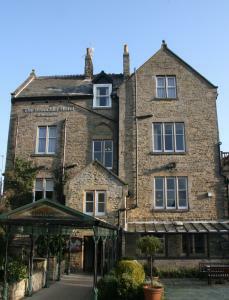 The recently refurbished traditional hotel provides an excellent base for those wishing to explore the Peak District. Whether this is your first visit to the area or you've already discovered the joys of the breathtaking landscapes, bustling market towns and the outstanding cultural and historical heritage, there's always a lot to explore. The Beauchief Hotel is also pleased to offer guests free day passes to Fitness First whilst staying with us. 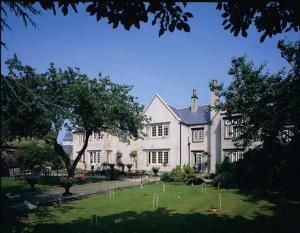 This is located one mile away and facilities include a fully equipped gym, sauna and steam room. With a combination of historic charm and modern luxury, Mosborough Hall Hotel aspires to be the most prestigious boutique hotel in the region. With luxury en suite bedrooms, Mosborough Hall also has the excellent Darcy's restaurant, which uses locally grown produce. Mosborough Hall also offers free Wi-Fi throughout and free on-site parking to all guests. A short trip away from Sheffield and Chesterfield town centre, this hotel is ideal for Sheffield football clubs, Ponds Forge and the Meadowhall Centre. Our modern hotel will provide you with high standards, together with excellent value for money. 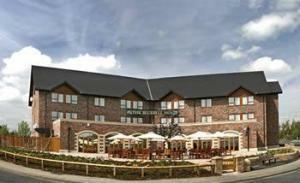 The Campanile Hotel Doncaster is only 5 miles from Robin Hood Airport in Doncaster. Our aim is to provide you with comfortable accommodation, whether you are away on business or with your family. Refreshments are taken in the informal bistro. Look out for our Special Dinner Bed And Breakfast (2 courses with coffee or tea included). Wifi available with T Mobile in every room. This friendly hotel is conveniently located approximately 5 minutes walk from Rotherham town centre, which offers a variety of nightlife, restaurants, clubs and theatres. 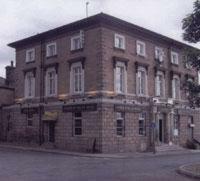 Only a 2 minute walk from Millmoor - home of Rotherham United, the Prince Of Wales is perfect for football fans. The hotel is situated only a 10 minute car journey from nearby Sheffield, with attractions such as Hallam FM Arena, Magna centre, Meadowhall shopping centre, National Institute of Sports and the Don Valley Stadium.